Its April end and the summer is at its peak. This hot and balmy weather calls for meals that are light,fresh, and of course packed with flavour and something that is more healthy and delicious. So, how about a barbeque for today's recipe? 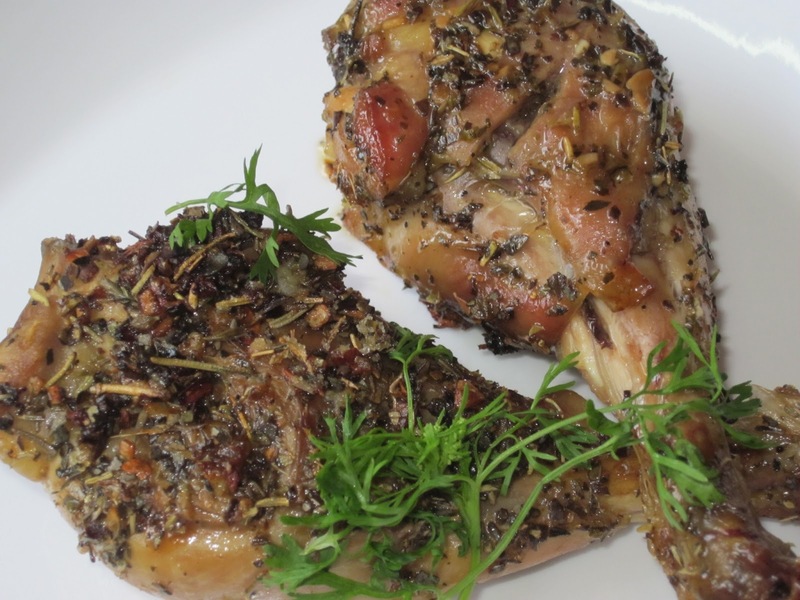 Meat and herbs seems to be a combination made in heaven; use it any manner and it is bound to produce great results. And with barbeque, now emerging as the world’s latest sweetheart due to the health obsession that’s overtaking the globe, this one’s a sure winner with people of all ages. It got it’s stamp of approval from the taste queens and trust me it was irresistible. Soft succulent meat covered with a crisp brown skin complemented by the flavorful herbs with the roasted garlic providing the final burst of flavor. Ummmm… It’s something else I tell you. The only sad thing in the entire effort was that I didn’t have an actual Barbeque, and that’s where my ever diligent oven came to the rescue. That is perhaps, one of the downsides of staying in a concrete jungle. When you make this, don't forget to watch the ingredients, have a bit of patience and watch something so simple transform into something beautiful. And while the meat is getting done in the oven, savour the aroma and imagine yourself out in the open, with family and friends enjoying a barbeque and complete the picture like we did along with a few beers. Life doesn't get any better, does it? Wash and pat dry the chicken. Make incisions on either side of the chicken thighs using a sharp knife. Heat the oil in a pan. Once it gets hot, add the garlic and let it turn reddish brown. Be careful and don't burn it. Now add the chicken and let it fry for about 5 minutes on each side till the skin of the chicken gets a brownish colour. 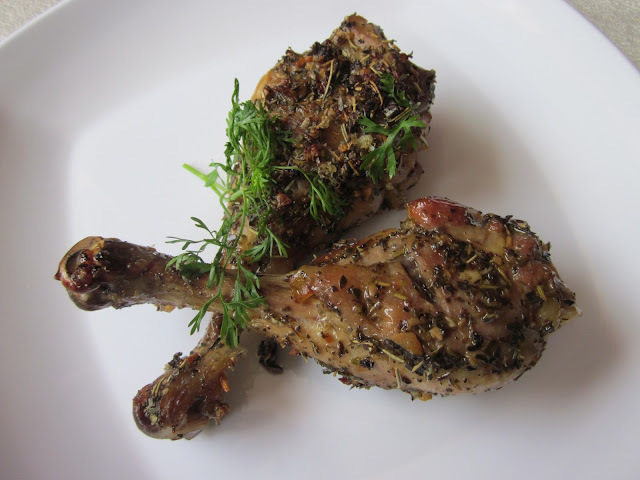 Once done, take it out from the heat and drizzle generously with the herbs on both sides. Bake in the re heated oven for about 15 minutes at 175 C till skin has become crisp and there is a nice reddish brown colour to it. Try and regulate the temperature according to your oven. Enjoy with mashed potatoes or an assortment of steamed vegetables like carrot, broccoli and beans.